The RAF Benevolent Fund has expanded its welfare breaks scheme for serving personnel to include locations across the whole of the UK. Having supported the RAF Family for the past 100 years, the Fund knows how stressful Service life can be. Deployment, separation and continuous moves can all add to pressures at work and home. To help, the RAF Benevolent Fund are offering subsidised breaks across the UK to serving personnel and their families. All properties are available to RAF families at the affordable rate of between £35 and £64 a night. 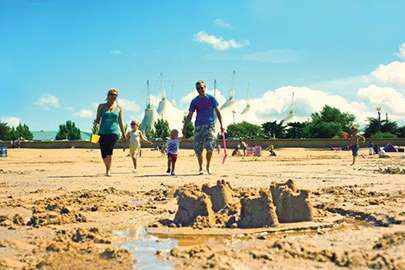 The breaks will run on selected dates during the 2019 summer holiday period and will offer an opportunity to rent a caravan or cottage in many popular UK locations. Priority will be given to serving personnel and families with a welfare need. There is potential for this welfare offer to be expanded should the trial prove to be popular with the serving community. Locations include Hammer Bank Lodge, Windermere; Reighton Sands Holiday Park, Filey; Rose Cottage, Loch Ness; Fox Glove Cottage, Loch Lomond; Coast House, Littlehampton; Awel Y Mor, Llandudno; and Butlins Resort, Bognor Regis. All properties are available to RAF families at the affordable rate of between £35 and £64 a night. Properties are available throughout the English and Scottish school holidays at Easter and summer 2019. Best effort will be made to ensure that applicants are offered their first choice dates, but priority will be given to families with welfare needs. Simply explore and book online.